Being probably the only tube seller to have yet visited the Psvane factory in southern China, Grant Fidelity of Canada ought to have the story. According to them the brand began as a collaboration. On one side were Chinese and foreign audiophiles and investors, on the other the huge government-controlled Shuguang operation. Working at Shuguang were members of this private group. Their R&D was key to creating the black-bottle Shuguang Treasure series. By early 2011 however a dispute over a profit-sharing agreement had many of this R&D and production team leave. Together with the original investors they formed Heng Yang Electronics to produce their own tubes in their own facility. 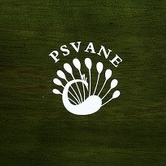 The new brand name was to be Psvane Audio. In October of last year the Psvane Audio team bought out the equipment and production team of southern China's Guiguang tube factory. This buyout included Shuguang's former chief designer who'd left in 2010 to revive Guiguang prior to the Psvane Audio formation. 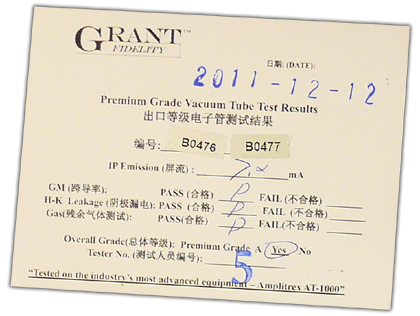 Today's Psvane tubes sold by Grant Fidelity originate from this Psvane-controlled privately owned Guiguang factory. 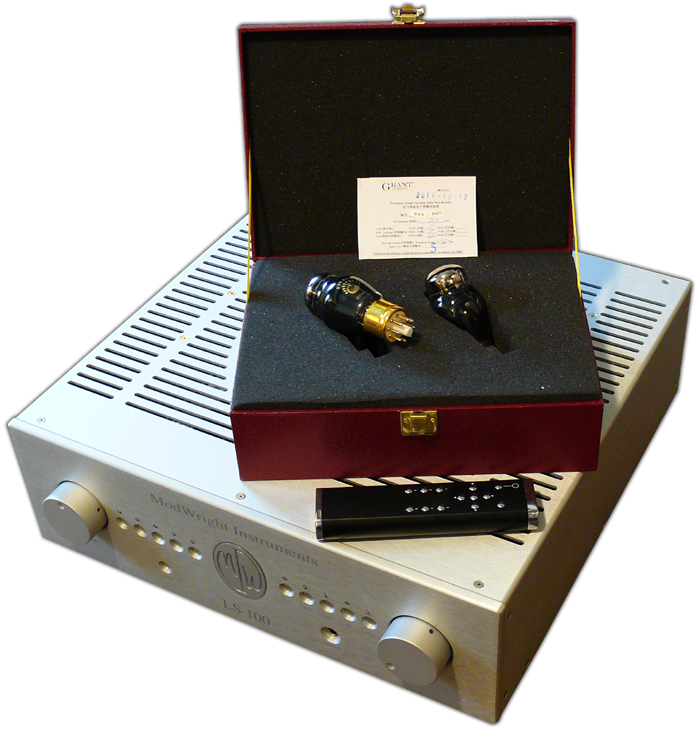 The present offering includes the black-bottle T Series and generic clear-glass HiFi Series. Forthcoming is a Western Electric Replica Series. The subtext to the above mirrors routine business in capitalist societies. Employees who feel unfairly compensated break away to become the former employer's fiercest competitor. 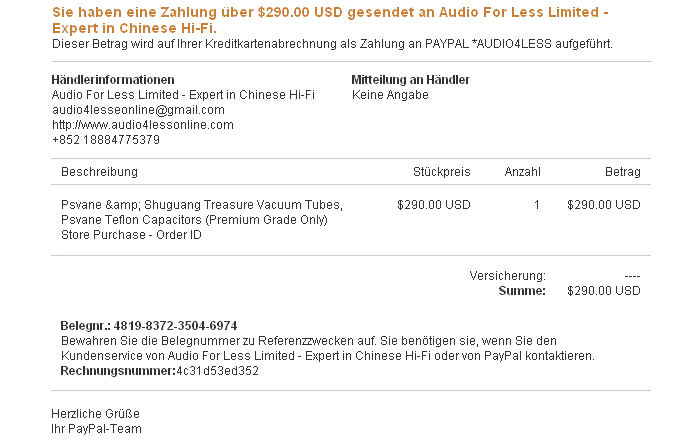 Thus today's Psvane tubes compete directly against Shuguang's Black Treasure equivalents. Very much to their credit, importer Grant Fidelity claims no outright superiority for Psvane. Their decision to support them and discontinue with Black Treasure seems chiefly based on solidarity by way of a longstanding collaboration with the original R&D team and—vital—a proven culture of Western-style QC. For review purposes it seems fair to assume that Psvane and Black Treasure could well be completely interchangeable if the latter match the same selection process*. * To reduce wasteful shipping of sub-par tubes to their Canadian facility for retesting, Grant Fidelity set up an Amplitrex AT-1000 tube testing station directly in the factory and trained the personnel to follow "exactly the same testing method and grading standard as we do in Canada. Going forward, more tube models with our Grade A quality will be stocked in our Hong Kong warehouse to ship economically and efficiently to our worldwide customers. Some orders may be shipped out of Canada until our Hong Kong warehouse is fully stocked." To roll my ModWright LS-100 preamp with its two 6SN7s, I decided to take a chance on Psvane's rumored-to-be-great CV-181T. Within minutes of placing my online order for a premium matched pair, I had the below payment confirmation. A minute later I had a separate order confirmation email. One day later I had shipping confirmation from the seller and a separate confirmation from shipper TNT with a formal tracking number. Four days after placing the order online, the tubes had safely made their trip from Canada into my itchy hands in Switzerland. Grant and Rachel at Grant Fidelity run a tight and very professional ship. This is how mail-order business in the 21st century ought to be done - swift and with a complete documentation of progress and process. Bravo!